Unlike fleas, ticks may not cause dramatic irritation when they attach to your pet’s skin. This lets the tick slowly fill with blood without interference. Before feeding, ticks are often small and easily overlooked; once a tick has eaten and is engorged with blood, it grows in size and often looks bloated. These bloated ticks are usually easier to spot (depending on species—some of them can still be very small), but can be difficult to remove —especially if you aren't used to doing it. If you see a bloated tick, your best bet is to visit your veterinarian so she can remove it and check for any additional ticks. And don't assume that there's a flea- and tick-free season. Fall and winter may seem like distant memories at this time of year, but they’re not to be forgotten when it comes to parasite prevention. Fleas and ticks have a way of popping up in the colder months. In fact, flea numbers can surge in the fall in temperate climates. An alternative for pets who won't take oral products or are difficult to medicate. Please Welcome Anna to our Grooming Team! 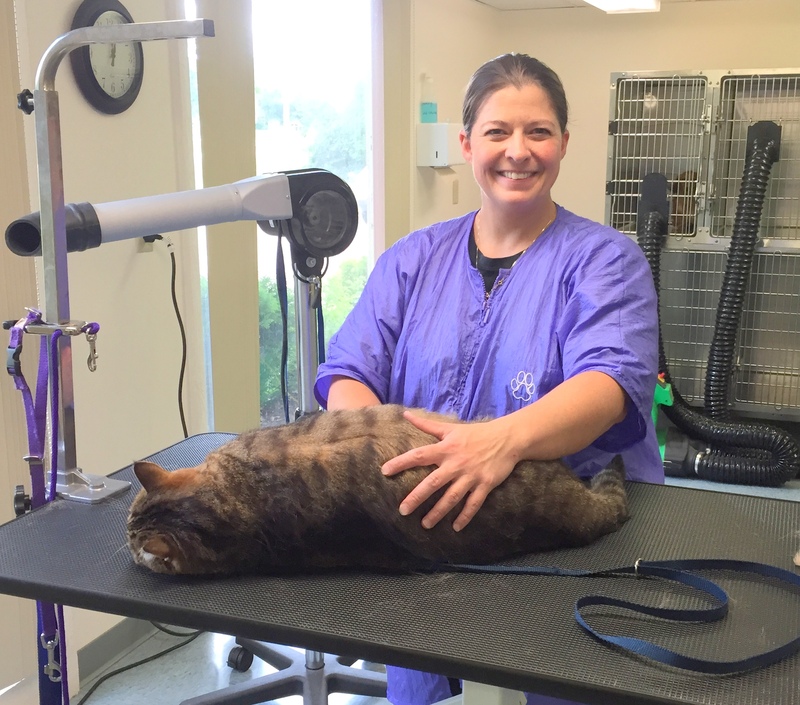 Anna is a Certified Veterinary Technician who has been working with us for about a year and is interested in grooming! Anna is going to be working under our current groomer, Alissa. If you would like to schedule an appointment, please call us at 608-767-3407. We still have openings for you to get in before the holidays! 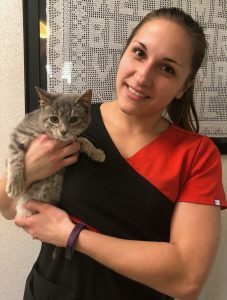 Every veterinary hospital staff consists of a team of caring individuals, each contributing his or her unique abilities to ensure high quality veterinary care for animals and compassionate interactions with animal owners. Dedication to service remains a top priority. Veterinarians are doctors trained to protect the health of both animals and people. In a clinical hospital environment, veterinarians work with large and small animals to evaluate animals’ health; diagnose and treat illnesses; provide routine preventive care; prescribe medication; and perform surgery. Some veterinarians specialize in areas such as surgery, internal medicine, ophthalmology or dentistry. In addition to opportunities in clinical practice, veterinarians may work in zoos, wildlife parks, or aquariums; focus on public health and regulatory medicine; enter academia or research; or they may pursue other career paths. Personal attributes that contribute to a successful career as a veterinarian include a strong science and math education, the ability to work well with animals and their owners, basic business and management training, excellent communication skills, and leadership and organizational skills. Veterinary technicians perform valuable medical and non-medical services in clinical practice. They are graduates of an AVMA-accredited veterinary technology programs and usually have an Associates or Bachelors degree. The veterinary technician is educated and trained to support the veterinarian by assisting with surgery, laboratory procedures, radiography, anesthesiology, treatment and nursing, and client education. 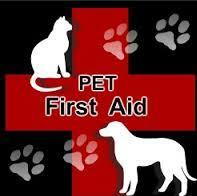 Almost every state requires a veterinary technician to pass a credentialing exam to ensure a high level of competency. Some veterinary technicians pursue specialties in emergency and critical care, anesthesiology, internal medicine, animal behavior, or dentistry. 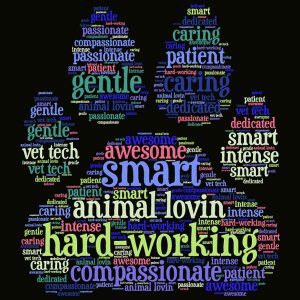 Personal attributes that contribute to a successful career as a veterinary technician in clinical practice include a strong science background, an ability to work well with people and animals, and good communication and decision-making skills. Many veterinary hospitals find that having a hospital (or practice) manager greatly improves the team's efficiency. This person is responsible for managing the business functions of the practice. Depending upon the size and type of hospital, the manager’s duties could include personnel hiring and supervision, budget and inventory management, accounting, marketing, and developing recordkeeping and other business standards for practice. A strong business background, computer knowledge, and desire to work with and manage people are key attributes for success as a hospital manager. In some hospitals, a veterinary assistant supports the veterinarian and/or the veterinary technician in their daily tasks. The assistant may be asked to perform kennel work, assist in the restraint and handling of animals, feed and exercise the animals, or spend time on clerical duties. There is no credentialing exam for the veterinary assistant; however, training programs are available (see www.navta.net). The ability to listen, communicate efficiently, and handle multiple assignments are skills that make a veterinary assistant an important member of the hospital team. The receptionist or client service representative is usually the first person to welcome a client into the hospital and the last person the client sees when they leave. The interactions he or she has with a client can determine how the client perceives the quality of medical services being offered. A good receptionist must have excellent communication skills and be able to handle a variety of questions and requests from clients and the public. In addition to setting appointments, responding to inquiries about hospital services, greeting clients, and managing callbacks, a receptionist may also perform accounting, marketing, or client counseling duties. A customer service-focused attitude, the ability to manage multiple tasks, and professionalism under stress are important attributes for a hospital receptionist. The hospital team may also include an adoption counselor, a grief counselor, administrative assistant, kennel or barn workers, and part-time volunteers. Everyone has an important role to play in assuring the health and well-being of the hospital’s patients and the owners who care for them. A new consumer study that reveals that there are knowledge gaps among U.S. pet owners related to the identification, prevention and treatment of fleas and ticks. Conducted by The Harris Poll on behalf of Merck Animal Health, the online study of more than 1,300 pet owners, defined as those who own a dog and/or cat, found that despite the dangers of flea infestations, ticks and Lyme disease, many pet owners may not be as knowledgeable—or as prepared—as they think. In fact, one third (33 percent) say that they do not give their pets regular flea/tick medication and nearly half (48 percent) don't bring their pets in for routine exams to protect against these parasites. Overall, the study found that when it comes to avoiding and treating for these pests, pet owners tend to overestimate their levels of knowledge and readiness. Specifically, more than three in five (61 percent) say they are "very knowledgeable" about fleas and ticks; however nearly two in five (38 percent) were unable to correctly identify at least one symptom commonly associated with Lyme disease. Many similarly demonstrated some level of confusion over common facts and myths—including more than one in four (27 percent) who falsely believe that fleas and ticks are only active in the spring and summer months, and one quarter (25 percent) who falsely believe that ticks can only be found in heavily wooded areas. Younger pet owners (those aged 18-34) were especially susceptible to misinformation about fleas and ticks, and are more likely than older pet owners to falsely believe: fleas and ticks are only active in the spring and summer months (34 percent versus 24 percent of those aged 35-plus); ticks can only be found in heavily wooded areas (36 percent versus 19 percent aged 35-plus); and that dogs and cats living in urban areas don't need flea and tick protection (15 percent versus 4 percent aged 55-plus). However, the study confirmed that nearly all pet owners, regardless of age, want to keep their pets free of fleas and ticks, with 90 percent citing that they would "do anything" to protect their pets from these pests. 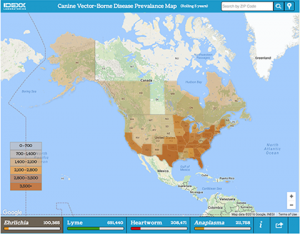 These knowledge gaps are particularly concerning after a new report from the Centers for Disease Control and Prevention has found that human illnesses from mosquito, tick and flea bites more than tripled in the United States from 2004 to 2016. According to the report, there were more than 36,000 Lyme disease incidents reported in the United States in 2016 alone. Fleas and ticks can easily latch onto dogs and cats, and can spread serious illnesses, including Lyme disease. Once inside a home, they can also bite and pose health risks to human family members. Ticks can be found in most states in the U.S.; the Northeast, Mid-Atlantic and Great Lakes regions have particularly high risks of Lyme disease. "Lyme disease has been found in every state in the U.S., and can be fatal to our four-legged family members if left untreated," said Dr. Dan Markwalder of Companion Animal Hospital in Chicago. 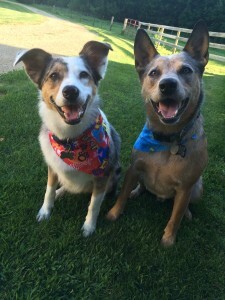 "Since nearly all dogs and cats are at risk of picking up fleas and ticks and transmission of the disease occurs within as little as 24 to 48 hours, preventative measures are key. No matter the season or habitat, flea and tick protection is essential for all canine and feline pets, year-round." According to the study, almost three-quarters of pet parents (72 percent) don't research flea and tick prevention, and only half (50 percent) say they treat their pets year-round. "Fleas and ticks can carry serious, life-threatening diseases, and they are active in almost all climates and environments throughout the U.S.," said Dr. Dottie Normile, associate director, scientific marketing affairs at Merck Animal Health. "This study shows just how important it is for pet parents to be informed and prudent when it comes to protecting their pets from these pests." To keep pets safe from fleas and ticks, Drs. Markwalder and Normile recommend that pet owners: consult a veterinarian to have pets protected year-round, check pets and family members regularly for ticks, remember that indoor pets are as much at risk of contracting fleas and ticks as outdoor pets, and visit a doctor or veterinarian right away if you suspect that a person or a pet has come into contact with ticks or fleas. For more on how pet owners can detect and treat flea and tick infestations, click here. We Offer Dog and Cat grooming! Grooming is now available at our clinic!! 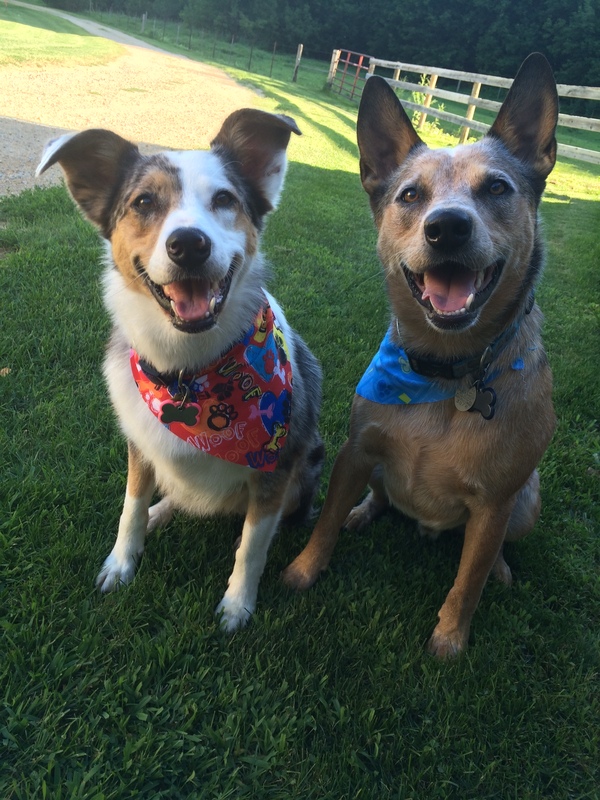 Alissa Doyle is our groomer and will see dogs and cats! Call (608)767-3407 to book your appointment! 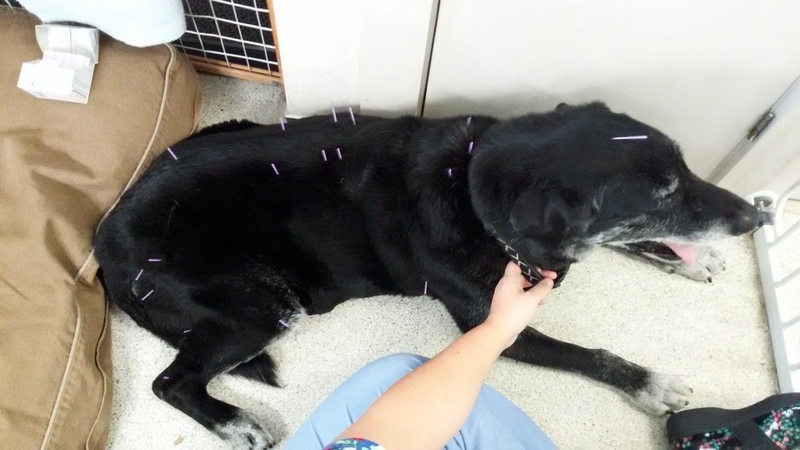 Black Earth Veterinary Clinic is proud to add acupuncture to the list of services available for your pets. Acupuncture is performed by Dr. Darlene Berkovitz, who trained at the Chi Institute of Traditional Chinese Veterinary Medicine. Acupuncture is a wonderful way to treat many medical conditions, most notably pain from injury, arthritis, or age. Acupuncture can be used in conjunction with common western medical therapies and medications. Acupuncture is typically tolerated very well by cats and dogs. The needles are a very small gauge and most patients do not even notice them. There are no negative side effects to acupuncture, making it safe for older pets and those with chronic disease conditions. Acute injuries often need only one or two treatments while chronic conditions require more. Treatments take about 30 minutes and are usually scheduled once weekly for 3 – 5 sessions and then spaced further apart as tolerated by the patient. 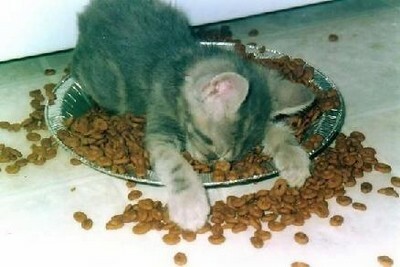 Cat Food Advisor is Coming Soon! Check Back Often! My house has no carpet, so I do not have to worry about fleas in my home. Fact: Flea eggs will drop off the pet and accumulate in the cracks of hardwood floors and along the baseboards. The larvae will then move deep into these crevices to avoid exposure to light. Fleas can survive and multiply in most environments. I do not see fleas on my pet, so there must not be any. Fact: Visible adult fleas are only a small portion of the infestation. Fleas exist in the environment as ≈57% eggs, 34% larvae, 8% pupae, and 1% adults. Fleas are difficult to see on many types of hair coats. They can be harder to see on cats, who are very good at removing the fleas when they groom. My pet never leaves my yard, and my lawn is short and well maintained. Fact: Fleas will survive in any shady, moist environment where pets rest. I do not need to use preventives during the winter months. Fact: Fleas can survive for 10 days at 37.4oF. In cold climates, adult fleas survive on the warm bodies of dogs, cats, and other mammals, and indoors within pupal casings as pre-emerged adults. I give my dog garlic as a natural flea preventive. 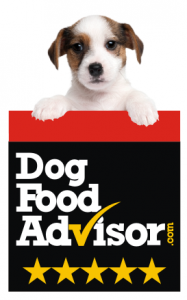 Fact: Garlic ingestion is an ineffective flea remedy that can have negative health effects. Garlic toxicity can result in oxidative damage to erythrocytes, which may lead to Heinz body formation, hemolytic anemia, methemoglobinemia, and impaired oxygen transportation. 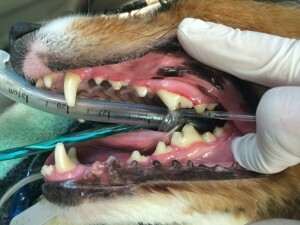 See the Difference a Dental Cleaning Can Make for Your Pet! Proper dental care can detect dental disease that not only affects the mouth, but can also lead to more serious health problems such as heart, lung, and kidney disease. Good dental hygiene is just as important for pets as it is for humans. Yet, it is one of the most overlooked areas in pet health. 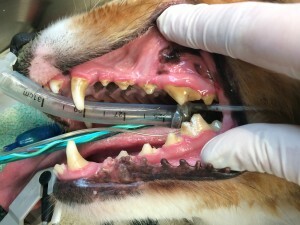 Studies by the American Animal Hospital Association (AAHA) reveal that nearly two-thirds of pet owners do not provide the dental care recommended by veterinarians. More than ¾ of all respiratory infections in cats are caused by feline rhinotracheitis or calicivirus. These can cause cold-like clinical signs, pneumonia or other severe signs and are easily transmitted among cats through secretions. The good news: they can be prevented with regular vaccinations. Disease immunity inherited by puppies and kittens thanks to their mothers' antibodies typically wears off at around 8 weeks of age. Since young animals' immune systems are still fragile at that stage, it's better to vaccinate your pet sooner rather than later. Even if your pet stays mostly indoors, many contagious diseases are airborne and could even travel through an open window, says the American Humane Association—so regular vaccinations are crucial regardless of whether your pet goes outside.